For Octalysis experts, staying on top of your Human Focused Design skills means to make sure you have an in-depth understanding of motivation. So you know your behavioral science. You know your UI/UX. And you know your business consulting best practices. These things make you stand out from the crowd, and make that clients value your work. Naturally we are also always on the lookout for new inspiring game mechanics: elements that can translate our behavioral science knowledge into actionable gamification design. Our consultants in The Octalysis Group are finding new inspiration in games but also in sports. eSports comes to mind immediately due it its immediate connection to games, and we are known for our active involvement in this arena. However ‘real’ sports (although we have seen that the boundaries between sports and games are disappearing: https://octalysisgroup.com/2018/09/esports-octalysis-gamification-great-match/) also offer a fertile soil to reap new insights from. Take for example Formula E: Formula 1 Racing with electric vehicles. Since its inception around 5 years ago, it has become incredibly popular. In the 2017-18 season, more than 300 million viewers globally tuned into at least one Formula E race. So what explains the popularity of Formula E? Why is it so engaging for especially younger generations? And what can we learn from it? Let’s find out! Want more fun? Double down on intrinsic motivation! “Normal’ Formula 1 racing is a cool spectacle. The power, the noise, the competition on the road, the camaraderie between supporters and the believe in the epicness of ‘your’ brand. It has continued to inspire fans worldwide and made the sport a multi billion dollar success. Unbeatable success story you say? Core Drive 3: Empowerment of Creativity and Feedback: the motivation we feel when we have autonomous choices, and can be creative. Core Drive 5: Social Influence and Relatedness: when we feel connected to and have influence over other human beings. Core Drive 7: Unpredictability and Curiosity: our innate interest to always want to know what is next and to be curious. So if we want to make something more fun, we think of ways on how to give people more autonomous choices and creativity. We let them influence other actors in the experience. And we increase unpredictability a little (not too much!) to create a bit more addiction to the fun. And this is what Formula E did too. ‘Normal’ Formula 1 already has some decent intrinsic design that continues to lure people to the sport: the unpredictability from who will win, the social connection between supporters groups, and the strategy (when to change tires, fuel etc) that teams put on show. However, the experience is a pretty passive event for most viewers. There is no interaction with the drivers or cars for example and also the strategising for teams is limited to the choice of tires and the amount of tire changes. In the end, the team with the best engine normally wins, so there is limited Unpredictability. Also, as a spectator you can’t do much to influence the race except for waving your Ferrari flag really energetically. The experience is still wanting in Octalysis Core Drives 3, 5 and 7. Importantly, the biggest spectator group (and the fastest growing one) is young people. On the official Formula E Facebook page, two age groups (13-17 and 18-24) now account for almost half of the total engagement, currently coming in at 49%, a stunning 439% increase from the previous season. These groups are especially excited by having an active role in their entertainment (they watch less tv but play more games for example), and find normal Formula 1 boring and an “old man’s sport”. Formula one decided to give fans influence on how powerful drivers are on the circuit. Electric vehicles can be easily limited in their power output from a distance. 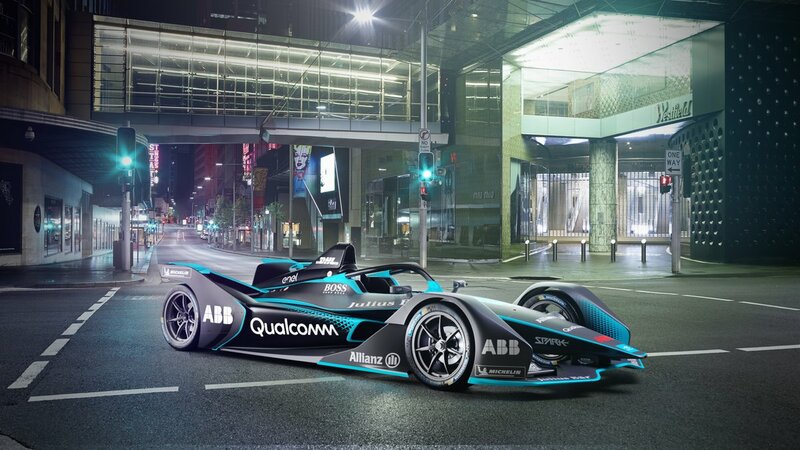 So what Formula E did is to limit vehicles to a certain Kilowatt (Kw), but if lot of fans vote for a specific driver, that driver gets extra power. 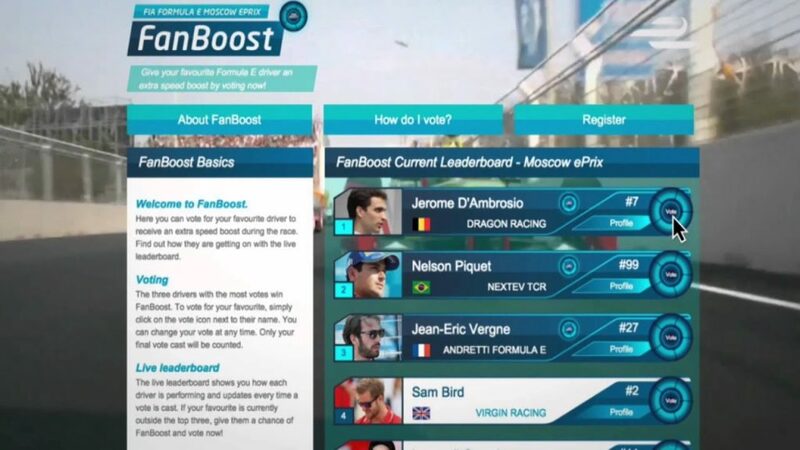 This game technique is called FANBOOST. In the days leading up to the race and a short time into it, you can get some temporary extra power (your car is limited to a certain level during the race) by getting fans to boost you on social media. Pretty cool and adds a whole new dimension to racing. And for the first time ever, fans have real influence on a professional race! Spectators feel more Core Drive 5: Social Influence and Relatedness when they influence others, and drivers and their team now have to work harder to please the fans. A cool risky driving style may get you bonus power, while a boring one may save tires but lose the race. Now we have more strategising and more unpredictability too. Pretty cool huh? Even more fun strategising: ATTACK MODE! Formula E wanted to give room for even more strategising. 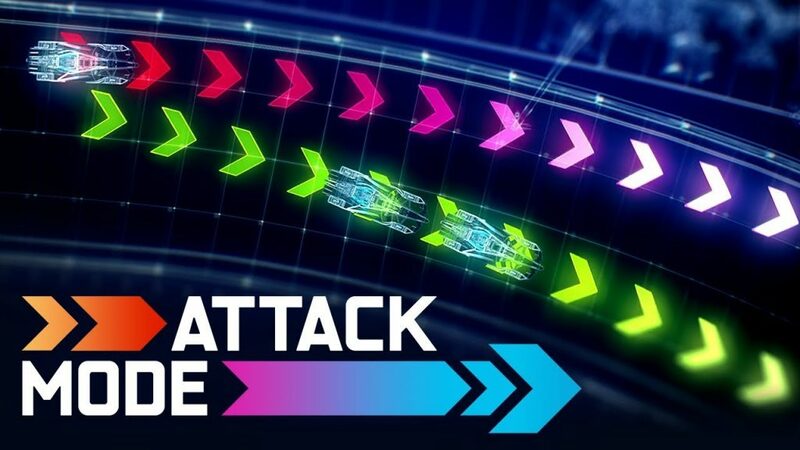 They launched something called ATTACK MODE, which lets every driver pick up an extra hit of power at their own risk. 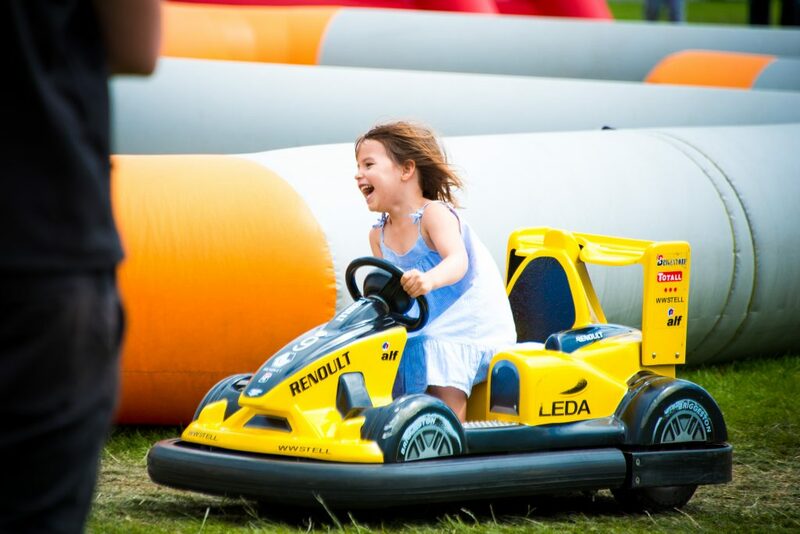 To fire up ATTACK MODE, drivers will need to arm their car, drive off the racing line, and through the Activation Zone. As a reward for taking a slower line through the corner, they’ll be able to collect an extra 25 kW of power. Drivers that secure the extra speed, can use it for a few laps when they want to race harder, giving them the edge to keep ahead of the competition. So now we have even more choices for teams, and more unpredictability in the process. Do we go slower for a while only to go super fast later on? Or do we decide to stay the course? What does this mean for tire changes? What do fans like better (will we get a FANBOOST when we do ATTACK MODE?). Yet another layer of fun, intrinsic design that makes racing more fun and creates more driver – spectator connection. Some people think that Formula E will be the main road racing event globally soon. And with such a strong young fanbase, the future looks bright for electric racing indeed! You have seen that all the fun and engagement is generated by intrinsic design. With younger people becoming your future customers, think about what you can do to give them more influence in your products, service offerings and marketing campaigns. Allow for strategy, social influence and unpredictability. If you want to supercharge your ROIs with Gamification, elevate your thinking away from just adding some points, badges and leaderboards (or angry bird, cows, and candies for that matter) to higher levels of gamification design. This will create cool engagement loops which will get your customers addicted to your products and services. Need help in crafting such a high ROI experience? Ask the people that know how to do this. The Octalysis Group is the worldwide leader in engagement design. We are glad to help you out! Copyright © 2019 The Octalysis Group Ltd. Alle Rechte vorbehalten. Können wir auch Ihnen helfen? Kontaktieren Sie uns, um Ihre individuelle Lösung zu finden. Wir nutzen Cookies. Unsere Datenschutzrichtlinien sind hier zu finden.